Jaipur: Amazon today announced that J. Alchem and Sudha Nair are the winners of the inaugural Kindle Direct Publishing (KDP) Pen To Publish contest. Sudha Nair won for her romance drama The Wedding Tamasha, and J. Alchem won for his romantic thriller. Their books were chosen by judges from a shortlist of five self-published books narrowed down from hundreds of entries. The winning titles were selected based on several criteria, including creativity, originality, quality of writing, and commercial viability. 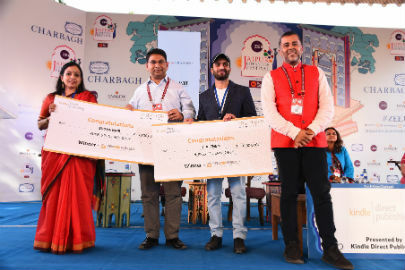 The panel of judges included international best-selling authors Joan Collins, Chetan Bhagat and Ashwin Sanghi, alongwith best-selling KDP author Sundari Venkatraman, and V.K. Karthika, a publisher with Westland Publications. The winners will each receive a cash prize of ₹10 Lakh and a print publishing contract with Westland Publications. They also have the opportunity to be mentored by established authors like Chetan Bhagat and Ashwin Sanghi. Three-time author and the contest winner J. Alchem says, “A writer is hungry for readers, he is hungry for appreciation. Through KDP’s Pen to Publish Contest, I have received a huge amount of love from readers across the globe”. “KDP kick-started my writing career much earlier than I thought. This recognition, so early in my writing career, inspires me to write many more interesting stories and keep readers entertained,” said Sudha Nair, winner of the contest. “The contest attracted entries from so many different genres. The quality and creativity of stories from the final shortlist of authors was amazing. KDP provides the perfect opportunity for any author to find a worldwide audience to their stories,” said Chetan Bhagat, author of blockbuster books like Five Point Someone and One Indian Girl. The KDP Pen to Publish contest was open for submissions of new English language books from all genres. Participants self-published their eBooks on kdp.amazon.com to enter the contest. 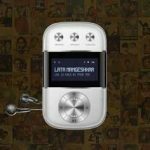 All eBooks from the contest are available on the Kindle Store on any device with the free Kindle app for iPhone, iPad, Android phones and tablets, PC and Mac as well as Kindle e-readers. Kindle Direct Publishing (KDP) is a fast, free and easy way for authors to publish their books in print and digital to a global audience, and receive up to 70 per cent royalties on their work. On any given day, up to 20 per cent of the Top 100 books on the India Kindle store are published by authors who have decided to keep control by publishing through KDP.